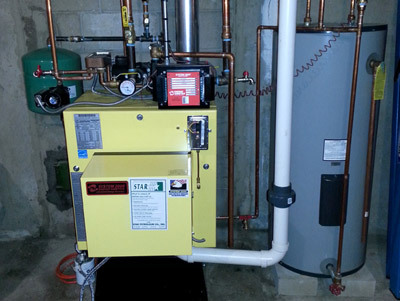 Are your heating and air conditioning systems running efficiently? If your boiler or furnace is more than 15 years old, or if your air conditioning system is more than 12 years old, it is likely that a system upgrade will significantly increase your home’s energy efficiency. Modern heating system technologies boast efficiencies of up to 97% and can reduce your annual fuel costs by up to 40%! Also, installing a new A/C system can help you save up to 30% on your energy bills each year. Not only will a new system help you conserve energy and related costs, but it will also provide greater comfort and security, fewer service calls, and an increased value of your property.